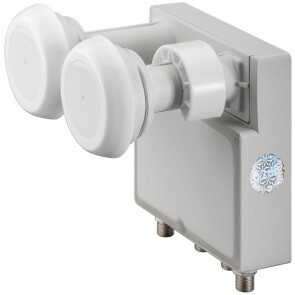 A low-noise block downconverter (LNB) is the receiving device mounted on satellite dishes used for satellite TV reception. 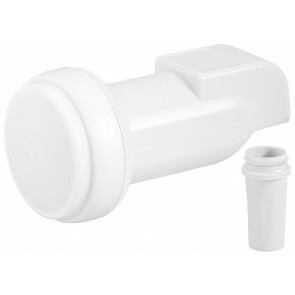 We offer a wide range of LNB's to work with or without Satellite MultiSwitches. 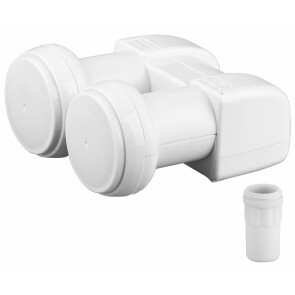 In most case you will be needing a Single LNB, Dual LNB, Twin LNB, Quad or Octo LNB, depending on the number out outputs/receiver you need to connect. These LNBs come with a single feedhorn but multiple outputs to connect multiple tuners/receivers. 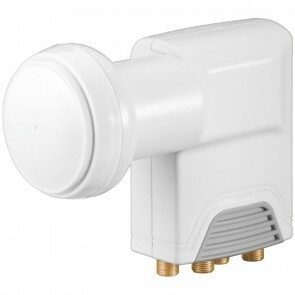 You can always have more output as required in the moment to have capacity for future expansion as not all available output on the LNB need to be connected. Check out the channels available on Freeview here. To connect the LNB from the Satellite Dish to your receiver(s) we recommend one of our Coaxial Cables. 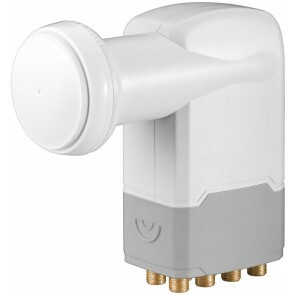 For the Satellite enthusiast, we stock a Universal Quattro LNB's that can be used with any of our MultiSwitches for a professional and larger Satellite installations. 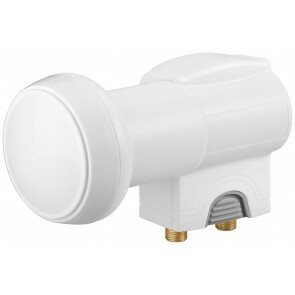 We also carry two Monobloc LNB that allow for the simultaneous receipt of 2 satellites (Astra 19.2° and Hotbird 13°). 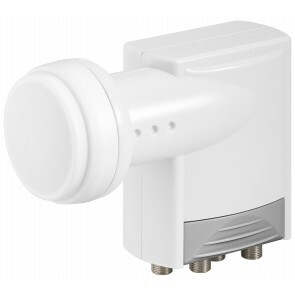 We also carry a complete range of satellite accessories and of course any connectors and tools you may need.